If you know something we don’t about this establishment on the corner of Orange and Washington, we’d love to hear about it! 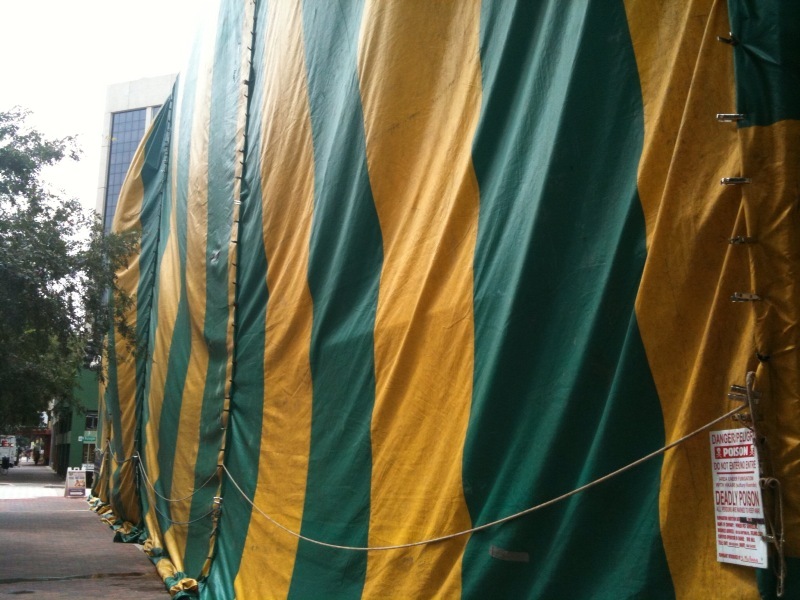 that is a termite tent – yuck! Ha ha ha – yes, that much we know! But does that mean the building is being prepped for people to move in, do you think?